Look at past Amer reveals that six centuries this city has been the capital of Suryavanshi Kcwahon the Dundadh area. Formed with sandstone, the fort of Aamer was started in 1558 by Raja Bharmal. The process of construction continued later in the times of King Mansingh and King Jaysingh. After a gap of about a hundred years, this fort was completed after King Jai Singh Sawai's time. In the same period remained rapport between Kachwahas Rajputs and Mughals, when the marriage of the daughter of Raja Bharmal was Akbar. Later, King Mansingh joined Akbar's navratanas and became his commander. That was the Golden Age of Aamer Valley and this fort.The fort is situated at an height of about 150 meters. From here onwards, you can reach the fort in 10-15 minutes.Here are some guides surrounded by tourists. The tourists who are interested in history and architecture do the course here. They get to know all the stories related to the building. In the path, guides build the fort and tell the history of Kachwaha Rajputs. 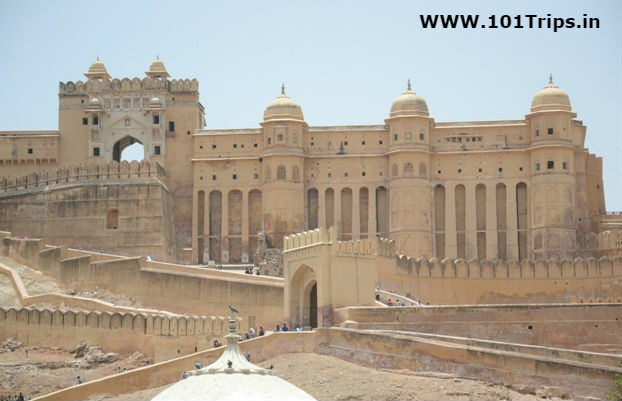 Amer Fort is just 11 kilometers from the pink city of Jaipur. Elephants can also be rides to go to the fort. Although this small trip is quite expensive. The tourists who come to Aamer get out of the streets also. Jagat Shiromani temple affects them very much. It is also called Mirabai Temple. Apart from this, the ancient Narasimha Temple, Panna Mian's Baawdi and the ruins of some Havelis can also be seen here. Jaigad Fort can also be seen by going further uphill from here. 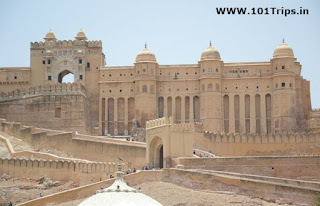 Most of the tourists visit this fort coming from Jaipur. Here is the appropriate weather to travel from August to April. 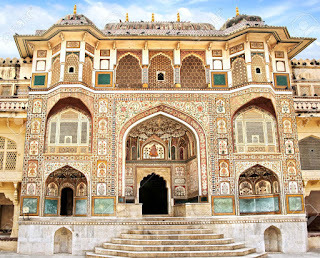 Aamer tour is just a part of the Jaipur tour. But for the fort to see well, it should take more time. After looking at Amer's magnificent fort, we find the glory of the medieval kings.